SAN FRANCISCO—At an urgent open meeting via teleconference, the Judicial Council unanimously adopted a new rule today that directs courts to allow people who have traffic tickets to appear for arraignment and trial without deposit of bail, unless certain specified exceptions apply. The rule also states that courts must notify traffic defendants of this option in any instructions or other materials provided by the court to the public. The rule takes effect immediately, although courts have until September 15 to ensure that their forms, written instructions, and websites comply with the notice requirements of the new rule. In addition, the council directed that its Traffic Advisory Committee and Criminal Law Advisory Committee expeditiously provide recommendations to promote access to justice when an individual has previously failed to appear or pay and in other types of infraction cases. At the end of the meeting, she directed the council’s Rules and Projects Committee to oversee and coordinate the two advisory committees and to report back to the council on August 20 on their progress. 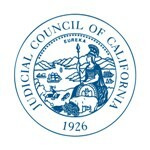 During the meeting, the Chief Justice noted that the Futures Commission, which she appointed last year, is taking a broader look at effective public access to California’s courts, including traffic proceedings.